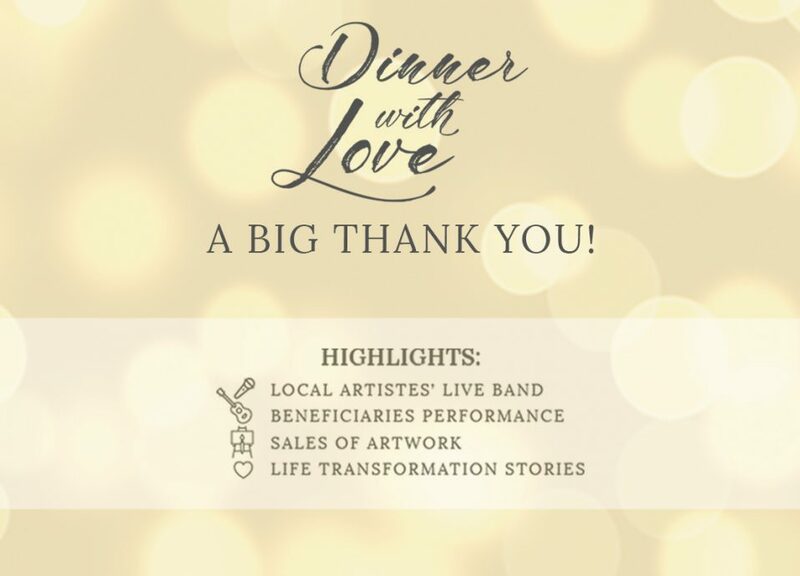 Dinner with Love 2018 – A Big Thank You to All! Dinner with Love 2018 was a great success! It was truly a night of celebration, filled with heart thumping performances, heart leaping moments and heart warming life transformation stories! Your ticket for the: Dinner with Love 2018 – A Big Thank You to All!